Or view larger version. 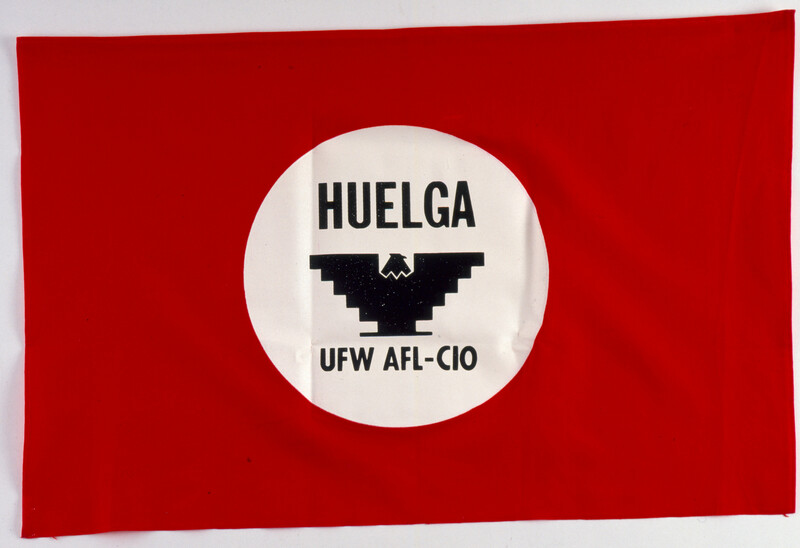 Red "Huelga" banner – United Farm Workers. Date unknown. Unknown maker. Collection of Oakland Museum of California.